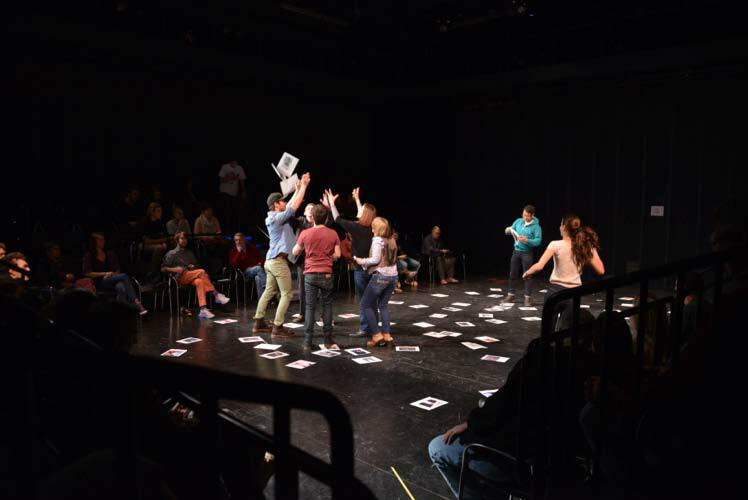 Presented as part of Carnegie Mellon University School of Drama’s Playground: A Festival of Independent Student Work, Isolation: A Collaborative Piece explored the perils of an anonymous internet in which individuals are not held accountable for their actions. 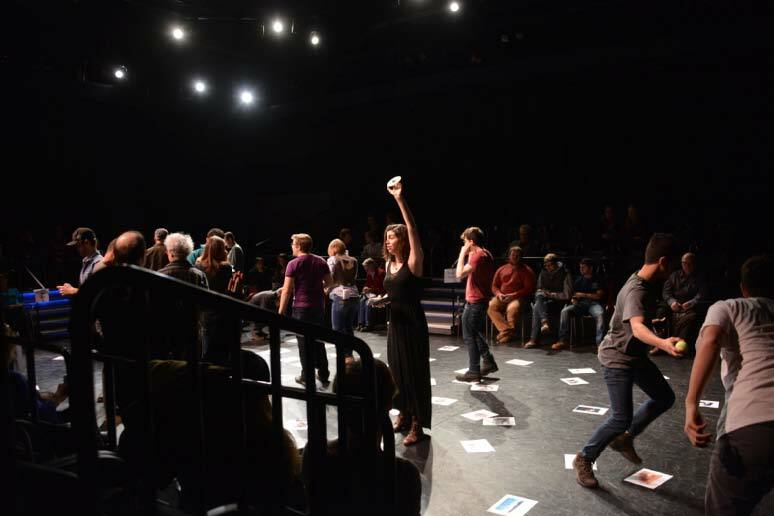 Audience members received text messages and phone calls, sent using the Twilio API, with instructions on how to create the piece while the performance was already underway. 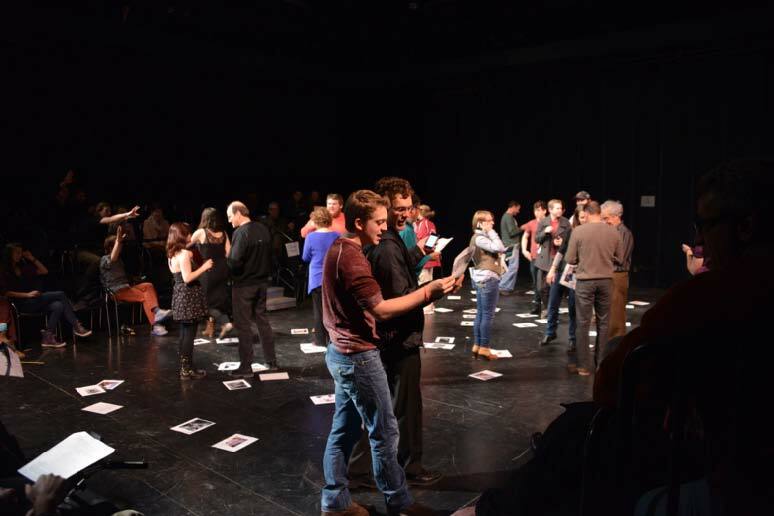 A collage of existing texts from Aaron Swartz, Eric Raymond, Edward Snowden, Anonymous, the SOPA bill, real Facebook conversations, real text messages and internet distractions like Bit torrent, casual gaming and Rickrolling, the performance left every audience member with a unique set of experiences based on the role they played in creating the piece. 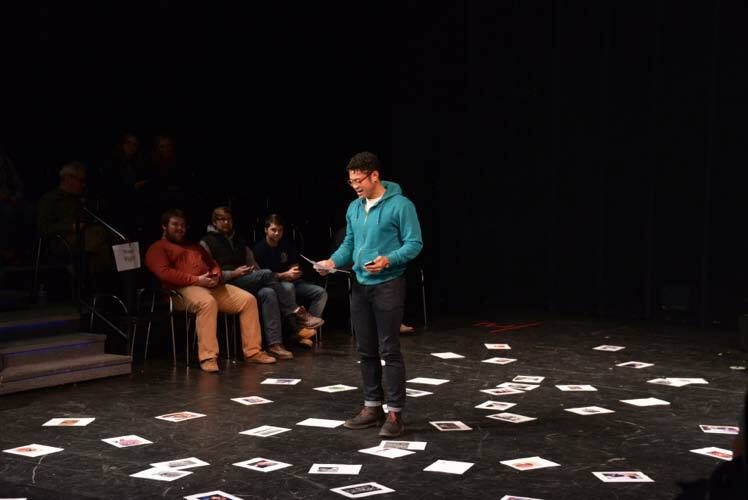 Isolation: A Collaborative Piece was the first implementation of a new theatrical paradigm developed by Kevin M. Karol (BCSA ’16): Server-Based Dynamic Narrative Delivery. Under this system theatrical events are constructed in stages, with each stage consisting of the collection of event parameters and the distribution of instructions to audience members through a server that has been set up to manage the event. The event parameters may be collected, and instructions may be distributed, through any number of digital means including, but not limited to, using the audience member’s phone to text/call them directly, send e-mails, through mobile applications and their linked functionality (GPS, altimeter, etc. ), and manual input through a computer or kiosk. The server monitors the event parameters and instructions being generated in order to adapt the event programmatically to account for requested actions that were not performed and actions that were performed but not requested. The server also dynamically determines and generates future stages that the event will flow through. The theatrical event may or may not have “actors” or other entities that monitor the state of the event and provide additional event parameters to the server. 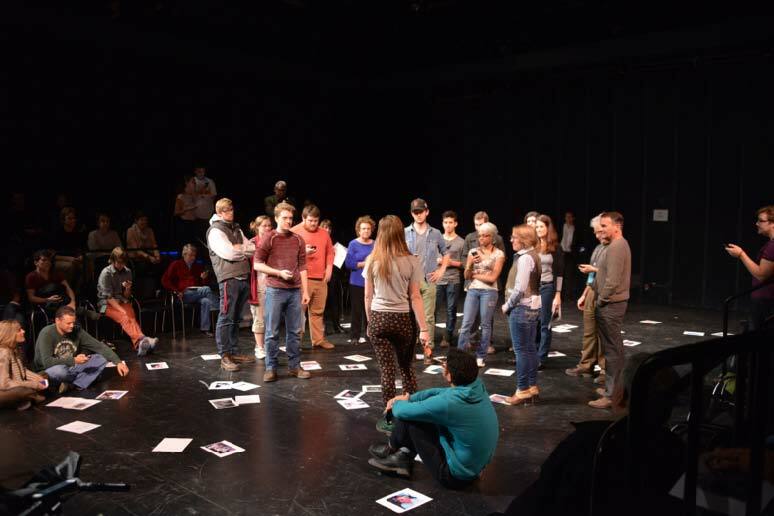 Isolation: A Collaborative Piece was supported by a grant from the Frank-Ratchye Fund for Art @ the Frontier (FRFAF)— an endowment founded to encourage the creation of innovative artworks by the faculty, students and staff of Carnegie Mellon University. With this fund, the STUDIO seeks to develop a cache of groundbreaking projects created at CMU — works that can be described as “thinking at the edges” of the intersection of disciplines. Kevin M. Karol is a student in the Bachelor of Computer Science and Arts (BCSA) program at Carnegie Mellon University.